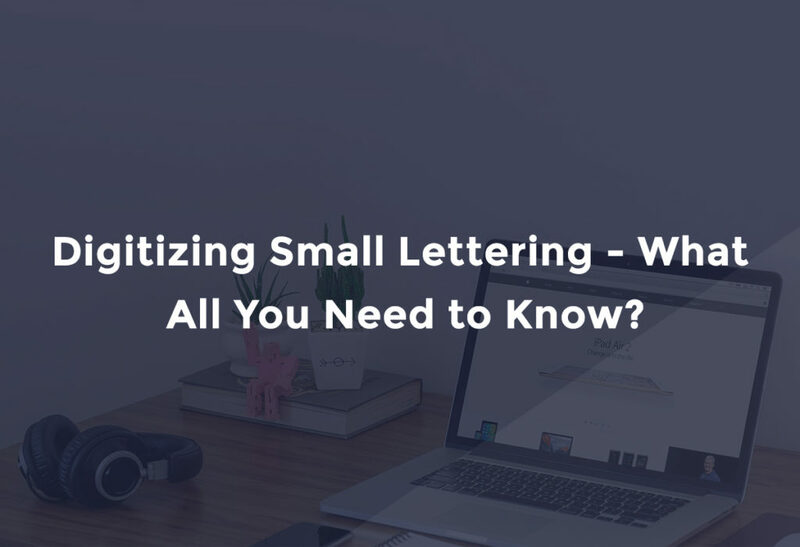 Digitizing Small Lettering – What All You Need to Know? As we all know that how important is considered small letter digitizing in embroidery, if your digitizer can get quality in small letters, consider he know his work and have experience and expertise in his work. Small letters are used in almost every logo, take example of corporate logos, or taglines under logos where they have very small size or applique designs and end product embroidery should show clarity when sewn on desired fabrics. So it is very important that you should know which fabric where the design will be used. It may be that design looks good in digitizing software, but when actual sewn, you will not be able to read the letters. We will try to find the solution for this problem and will have some tips for you for the same. Font and Size: However the font and size should be used as per client design, but where it is not possible, you can increase size. Do Not Use Underlay: Very important that you should not use underlay. These are the small tips which most digitizers will ignore, if you use these tips, you are going to have better results with small letters. Is Digitizing An Art Or Technical Skill? What is custom digitizing process from start to finish ?